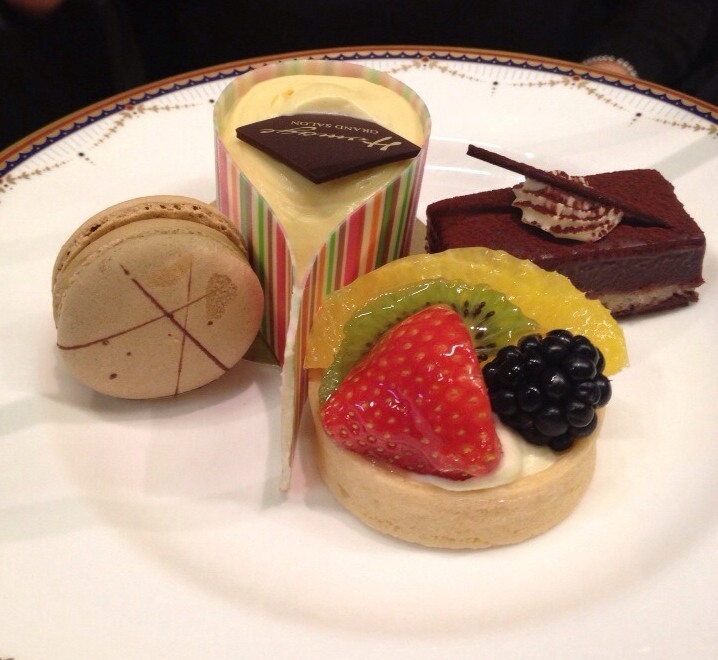 I adore going to afternoon tea. The thought of some nice sandwiches followed by fluffy scones with mouthwatering clotted creams and lots of scrummy cakes can easily set my heart a flutter. But not only is it a nice afternoon thing to do, it’s also something novel to take guests from out of town to experience. 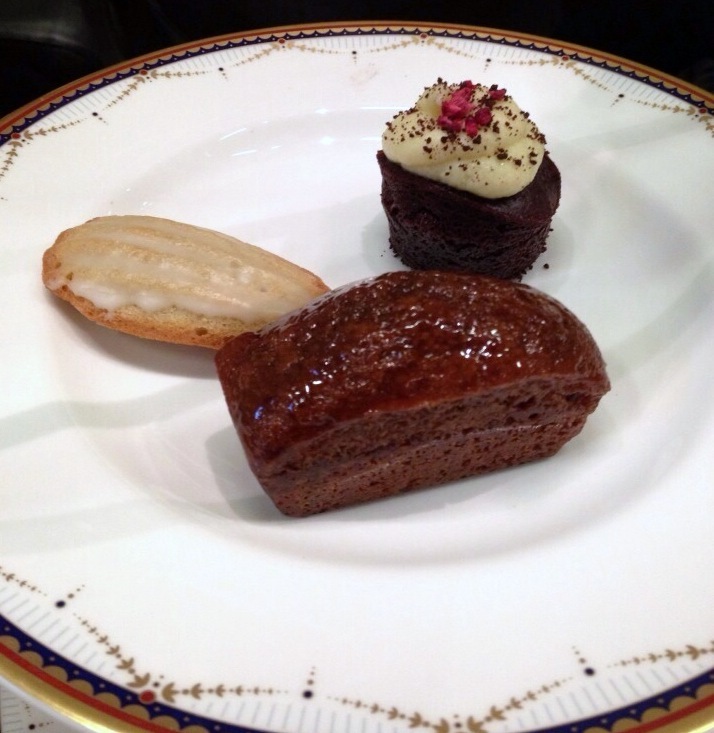 I was recently invited by the website Afternoontea.co.uk to try one of the afternoon teas offered through their website. 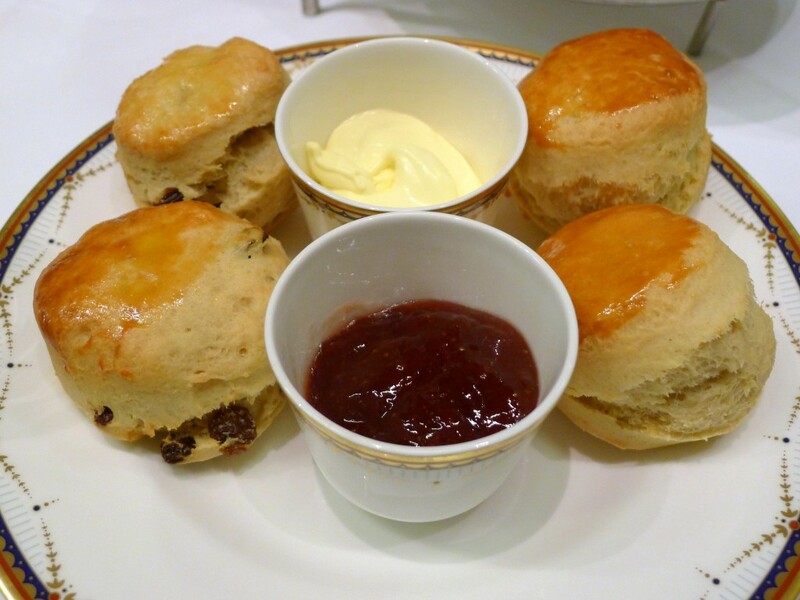 Afternoontea.co.uk allows you to search afternoon teas by location, which you can book at no additional cost. Furthermore, it occasionally has special offers. For instance, The Classic West End Afternoon Tea (£33.50) that I tried at the Waldorf also included a free glass of sparkling wine. 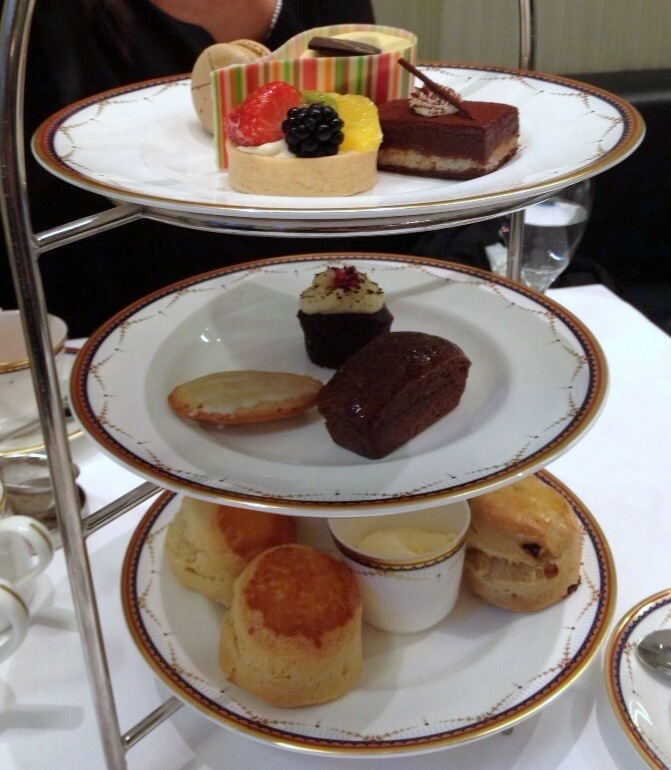 The Classic West End Afternoon Tea at The Waldorf included an assortment of finger sandwiches, scones, mini pastries and a decent selection of fine teas and infusions. First up were the sandwiches which included smoked salmon with cream cheese, ham and mustard, egg and watercress, tomato and cheese, and cucumber. 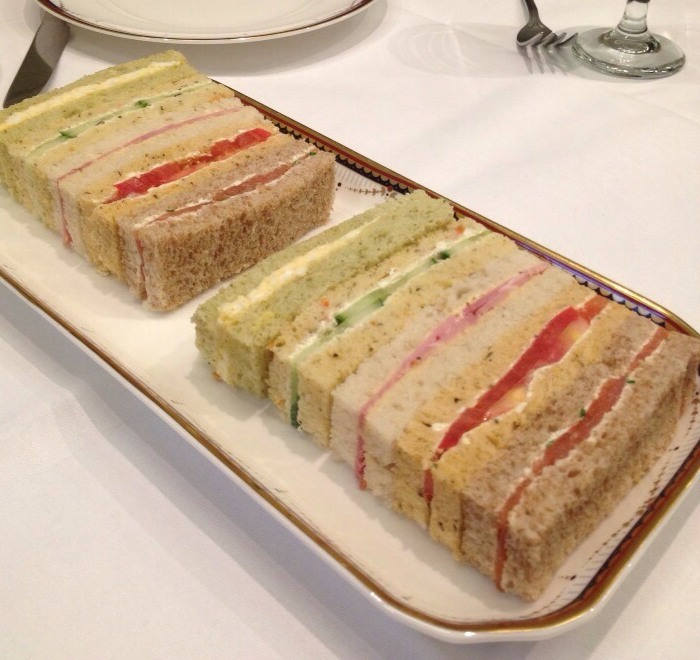 The cucumber sandwich was a bit bland, but otherwise the sandwiches were pleasant if a little simple. They were also a little cold as they had come from the fridge and we would have preferred them more at room temperature. The sandwiches were followed by a pretty little three tier stand containing fruit and plain scones with Devonshire clotted cream and strawberry preserve and pastries. The scones were excellent and superbly fluffy, and because they were slightly warm, they tasted truly delicious with the cream and the sweetness of the jam. The red velvet cupcake, lemon financier and ginger loaf were tasty but basic, so we preferred the much more sophisticated praline Petit Antoine and the passion fruit and white chocolate ‘tear’ for they were both luscious, well made and showed off good technique. The pastry on the fruit tart was exquisite and flakey, and contained an elegant Chantilly cream rather than a crème patisserie. The coffee macaroon was too sweet. The neo-classical style of the tearoom is quite pretty, and there’s an excellent harpist who plays throughout the afternoon. There was a fine selection of teas to suit every fancy and the service was friendly. On the whole we found the afternoon tea experience to be quite pleasant. An additional selling point of The Waldorf is that the hotel is located on Aldwych, which makes it easy to combine a West End show with afternoon tea. Also top ups are possible so basically you can eat as much as you want!